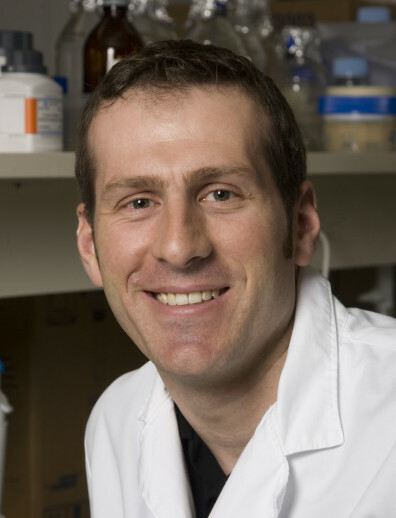 In 2015, Rodgers launched AVVogen, a company that is continuing development of a drug he and Paul Gregorevic of Baker IDI Heart and Diabetes Institute discovered while researching muscle growth and how muscle regenerates after injury. Although the process of getting a pharmaceutical discovery from the lab to the patients who need it is never a fast process, starting a company is the best way to ensure the discovery does not get left on a university shelf. The drug, Actriiex, shows promise for treating a syndrome known as cancer cachexia, which causes the breakdown of muscles, weakens the heart and occurs in up to 80 percent of cancer patients. If successful, Actriiex could also be applied to other causes of muscle wasting such as AIDS, heart failure, various muscular dystrophies and myopathies, and the natural aging process. Rodgers and Gregorevic developed Actriiex while trying to better understand myostatin, a hormone that prevents muscle growth. Myostatin is important for balancing muscle growth with other processes in our bodies, although with some diseases, myostatin’s actions go unchecked or the hormone itself can be overproduced. Some cancer tumors, for instance, release myostatin into the blood stream, leading to substantial weight loss and weakening of the heart. 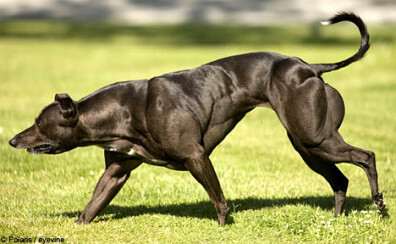 This dog demonstrates the importance of myostatin. It has a mutated myostatin gene, meaning its muscle growth goes unregulated because it does not produce the myostatin hormone. Past attempts to treat muscle wasting have focused on blocking myostatin in the blood stream. This approach increases muscle production, but it can cause serious complications like internal bleeding. Rodgers and Gregorevic took an alternative approach. Rather than attacking myostatin in the bloodstream, they blocked the biochemical events that are initiated by myostatin. Actriiex only targets these events happening in the muscle and heart, making the treatment much less likely to interfere with other hormones that cause health complications. Recognizing that their discovery could be developed into a treatment, Rodgers and Gregorevic began working with WSU’s Office of Commercialization to transition their discovery from the lab to the clinic. They started the process by filing a provisional patent in 2015 held by WSU and Baker IDI Heart and Diabetes Institute, making Actriiex available to license and develop as a product. 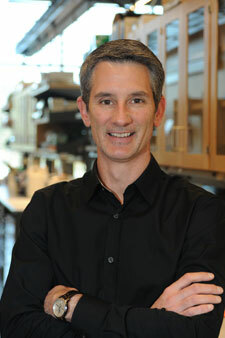 Recent support from the WSU Commercialization Gap Fund will help Rodgers conduct the last validation test needed to secure the FDA approval required to move into toxicology testing, which is the next step towards clinical trials with patients. Rodgers launched AVVogen in 2015 as well, opening up new funding opportunities and resources to continue moving Actriiex down the innovation pipeline. It will still likely be more than a decade before Actriiex makes it to patients, but thanks to Rodger’s commitment to developing the treatment and willingness to enter the startup world, a discovery that may have remained in the lab now has the opportunity to make a real impact on human health.